There’s nothing like a day at the races. You can participate in the action either as a driver or as a track volunteer. Members can compete and volunteer in road racing events, consisting of drivers schools, Regionals, and Majors races. The Detroit Region SCCA also serves as a volunteer backbone to the Detroit Grand Prix — volunteers get a behind the scenes look at a SCCA Pro race weekend. New Date! The Detroit / South Bend Region SCCA Northern Conference Majors race has a new date; May 18, 19, 2019. The move was made to improve participation and overall competition for this Majors event. Register Now on Motorsportreg.com at msreg.com/2019-DET-SBR-Majors See your there! Motor State Challenge. A3-day event for Pro Touring drivers. Classes include Vintage, Late Model andTouring. Thursday evening will include a cruise of Southwest Michigan on publicroads. On Friday drivers will try to set their best time on the GingerManRaceway road course in a Time Trial style event. Fastest time wins. Competitorswill return to GingerMan on Saturday morning to test their skills in theirfirst ever TrackSprint which will consist of a standing start and a flyingfinish over ¾ of a lap at GingerMan. Once again, fastest time counts. SCCA Track Event.This is a chance to get your street car on the road course at GingerManRaceway. All you need to do is bring a safe car and a helmet. The only otherrequirements are that you must be 18-years old and hold a valid driverslicense. This is not a timed event, just an opportunity for you to see whatit’s like to be on a real race track. Drivers will get 3-20 minute sessions onSaturday afternoon. 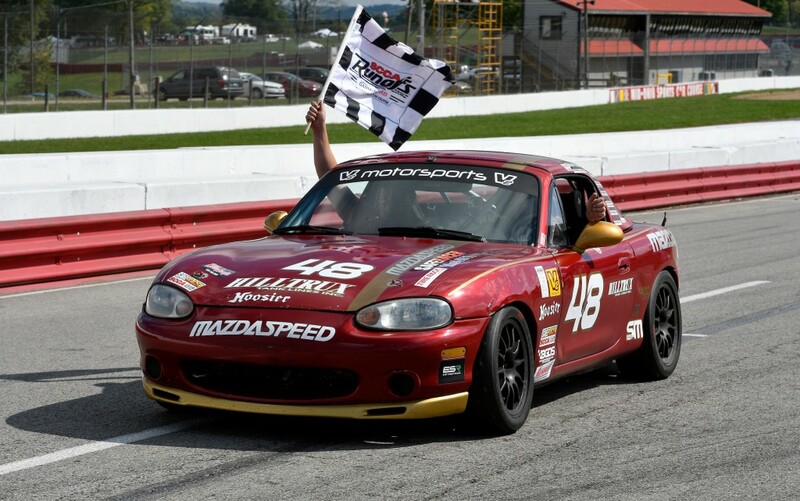 An event for drivers with SCCA competition licenses in cars prepped for racing.Everything from open wheel formula cars to tub-framed GT cars are eligible tocompete. All cars must meet all SCCA safety regulations and must be eligiblefor a recognized SCCA class. Competitors will qualify Saturday afternoon andthen compete in 3 sprint races over the course of the weekend. SCCA Team Bracket Endurance Challenge. This new and exciting format is targeted towards driversthat want to share one car as a team. No SCCA competition license is required.Every driver will be required to attend a Saturday morning classroom sessionand then it’s time to hit the race track. Each team will get one practicesession, a qualifying session and three 60-minute races. There are notraditional classes. You will be placed in a bracket based on your best laptime and if you go too fast, you just move up a bracket. Cars must befully-caged and meet all SCCA safety requirements. Modifications are up to you.